Indic8tor has been developed to improve road safety by ensuring motorists drive within the speed limits. Indic8tor contributes to road safety by ensuring that motorists are warned before entering an Accident Blackspot area by its active intelligent voice guidance system. 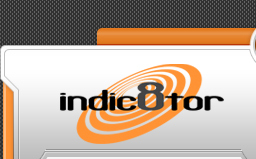 Indic8tor can’t be compared to lower or similar priced products as its features far exceed that of its competitors. Please note that unlike lower priced alternatives, Indic8tor ONLY warns you when a danger zone is being approached in the direction the vehicle is travelling. Some lower priced alternatives do not offer voice alerts and may require add-ons, which increase the price. Indic8tor is programmed with the latest safety camera database prior to despatch, and is ready to use straight out of the box; it is not essential to register or subscribe to our update service. For best performance however, we recommend that you maintain regular updates. There is a small charge for this update service. Indic8tor’s database is being continually updated with the latest safety camera locations. Indic8tor is slim line, aesthetically attractive and less obtrusive than other models. Indic8tor not only acts as a safety camera-warning device, it can also be used to locate the vehicle’s position in the event of a breakdown. A reading of longitude and latitude can be displayed on the Indic8tor’s screen, which the rescue organisation can use to locate the vehicle. When activated, Indic8tor announces the appropriate greeting to the driver – Good Morning/Afternoon/Evening. The same reassuring voice is used to alert the driver to safety camera positions and potential road hazards. Indic8tor is 100% legal to use and will remain legal in view of current legislation, as it relies on GPS technology to locate Safety Cameras and accident blackspots. Indic8tor is easily mounted in the vehicle using a magnetic base. This makes removal very simple, reducing the risk of theft. Indic8tor allows users to store up to 500 of their own locations.